I love planning fun activities for my daughter’s birthday parties, and I think the best activities are ones where the kids can bring something home that they made. 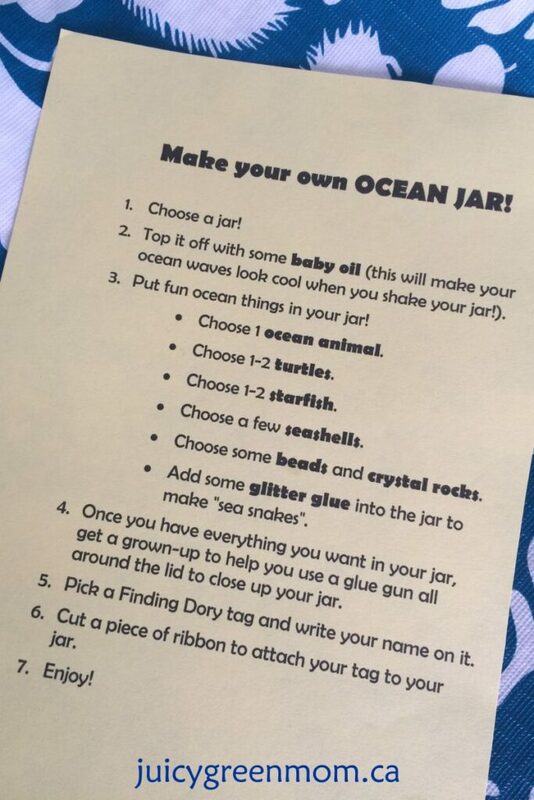 Because we were doing a Finding Dory party, I thought making some DIY ocean jars would be a perfect thing for the kids to make! I found some inspiration on Pinterest from A Few Shortcuts and A Little Claireification. I wanted to incorporate the oil and water idea to create the cool look of bubbles, and also add some other sea creature type elements to it. So this is what we did! 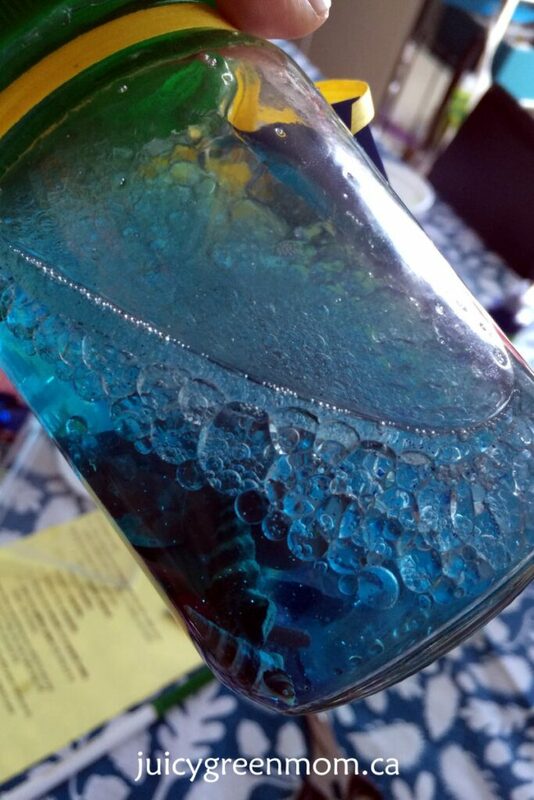 I filled the jar about 2/3 to 3/4 full with water and put 1 drop of liquid food colouring in. Then I added baby oil with a little room at the top so that we could put in the decorations. The kids all chose things to put inside their jars. For the jars we used with a cork top, I prepped them beforehand with water-resistant paint so that the water wouldn’t seep into the cork. After the kids had filled up their jars, we used a hot glue gun to put lots of glue around the cork and stop up the bottle. This made the jar pretty much leakproof! I had Finding Dory themed labels that we stuck onto cardstock for the kids to write their names, and tied them to the jar with ribbon. 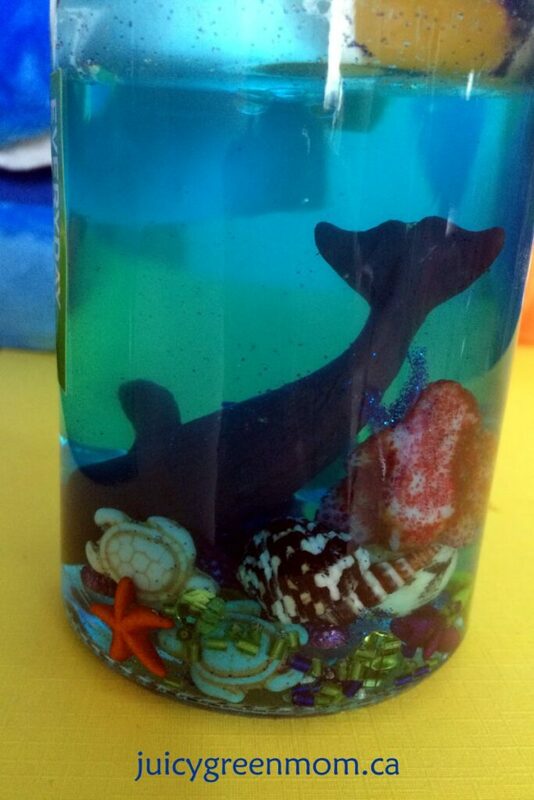 It was a super fun activity and all the kids seemed to enjoy their ocean jars! It was also a great way to repurpose some glass jars. Check out the paper lantern jellyfish decorations I also made for this party. 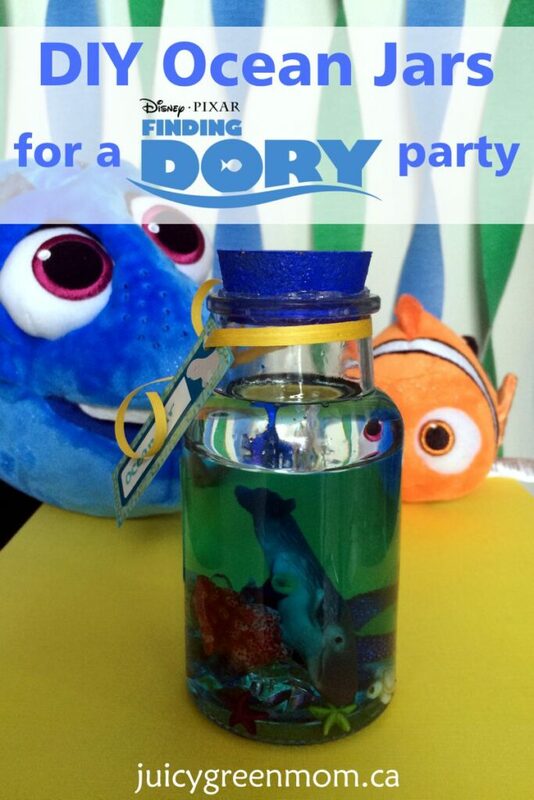 What activities would you do at a Finding Dory party?